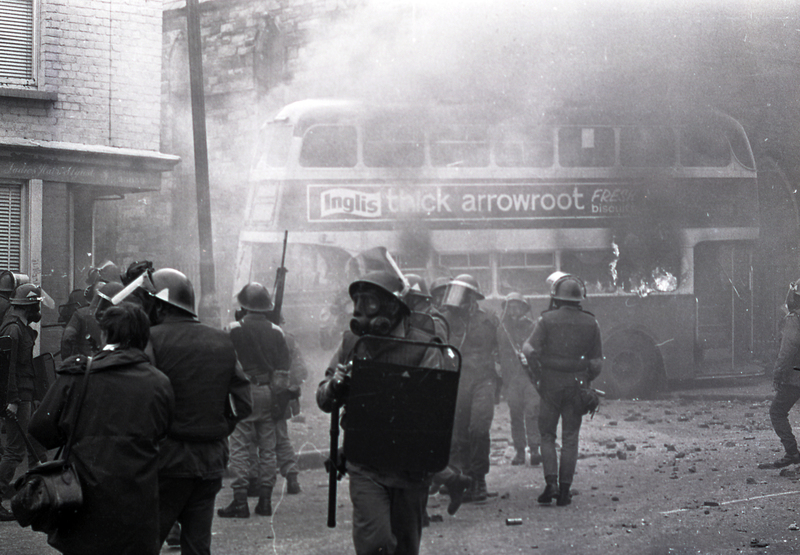 The Irish government and the Troubles – are they inextricably linked? UNIONISTS allege that the Irish government helped create the Provisional IRA, and then failed to do enough to combat republican violence during the Troubles. The Detail’s Steven McCaffery examines Dublin’s role in the conflict through the eyes of people who watched history unfold. But the outcome raises uncomfortable questions for all sides. THERE are four groups of people: Irish military families from Dublin, border Protestants targeted by the IRA, the victims of loyalist bombs planted in the Irish Republic, and Belfast republicans who helped form the Provos. They have never met and they have little in common. But their individual stories lead back to the murderous years of the early Troubles and raise questions around the role of successive Irish governments. The infamous trial came as the Irish government denied involvement in a plot to arm nationalists in Northern Ireland at the start of the Troubles. We trace a solicitor from the trial who dramatically recounts how the State’s star witness felt under pressure to lie to protect the government, but decided to “tell the truth”. The witness was the Director of Irish Army Intelligence Colonel Michael Hefferon and his family reveals that not only was he ostracised after the trial, but files on his eight years as intelligence chief have “disappeared”. They call for an “independent trawl” of all government documents on the Arms Trial. Relatives of Captain James Kelly, another intelligence officer who said government sanctioned the arms plot, have also called for full disclosure on the affair. We hear Capt Kelly’s late wife recount that he was harassed for years. We publish figures supplied to us through Westminster confirming that from 1973-97 the UK sought the extradition of 110 republican suspects from the Irish Republic, but 42 were arrested and only eight were extradited. The Irish government’s record on border security is also challenged, with campaigners revealing that in Co Fermanagh alone, at least 30 Protestant families were forced off their farms. We return to one border home with the Protestant farmer who fled the scene 40 years ago after the IRA shot his neighbour. Victims of loyalist bombings in the Republic said they too suffered cross-border attacks, but we ask why successive Irish governments remained virtually silent on the killings for decades. The Irish government declined to be interviewed, but Fianna Fáil leader Micheál Martin says the Troubles began when unionists used “violent repression” against the Civil Rights movement. But we hear founding member of the Provisional IRA, the late John Kelly, claim Dublin could have prevented the emergence of the Provos if the Irish government had protected nationalists. The list of controversies being raised against the Irish government featured in the Haass talks and are now formally on the political agenda. It is clear that after four decades of violence and close to 4,000 deaths, the truth of how and why the Troubles started remains hugely controversial. The spiralling events of 1969 still have a pull on the politics of today. In 1969, no one expected the calamitous events that were to come. Northern Ireland saw sporadic violence in the decades after it was established in 1921. But when the ’60s swung into view, the Civil Rights movement had captured the imagination of the minority Catholic community that was angry at ongoing discrimination. Unionism felt its world was being destabilised and feared opening the door to reform. In 1966 loyalists killed three people. Violence escalated in ’69 and events moved rapidly. Civil rights demonstrations were attacked. Nationalists saw police acting as an arm of unionism. As violence peaked, nearly 2,000 people were forced from their homes. More than 1,500 were Catholic. By the end of the year 19 people were dead and British troops were on the streets. A frightening new phase of history was taking grip. The IRA was largely dormant and had little access to weapons, but republicans featured prominently in `Defence Committees’ hastily set up in nationalist districts. Among them was an IRA prisoner from the 1950s, John Kelly, who joined delegations that travelled from Belfast to hold talks with politicians in Dublin as the crisis mounted. “They were falling over themselves to meet us,” he said. Some of the delegates demanded weapons and they would later claim that this became allied to an Irish government contingency plan that was being prepared in case sectarian violence escalated in Northern Ireland. John Kelly said: “In a doomsday situation, the Irish army planned to enter either Derry or Newry, and hold until such times as a third force arrived, an international force such as the United Nations. “Their problem was the difficulties that could arise for nationalists in Belfast and other areas – they could be overrun – and how could they be defended? He met Irish Army intelligence officer Captain James Kelly who said he was tasked to seek guns under the `doomsday’ plan, and they embarked on a string of ill-fated trips to London, the US and Europe in search of weapons. British intelligence was aware of at least some of these efforts from an early stage. In April 1970 a failed bid to get a shipment of pistols and machine guns to Dublin airport marked the last throw of the dice. Taoiseach Jack Lynch was approached by senior figures inside and outside the government who were deeply concerned. Some sources would later claim he already knew about the arms plot. Others claimed that if he didn’t, he should have. But the government always denied knowledge, blaming it on a maverick element. In a sensational development, Mr Lynch sacked two of his ministers, Neil Blaney and Charles Haughey. In a further explosive move the pair were charged with conspiracy to illegally import arms, as were Captain Kelly, the IRA member John Kelly, and a businessman caught up in the episode, Albert Luykx. Blaney was discharged at an early stage, but the other men were put on trial. Captain Kelly claimed he was acting under orders and had been reporting to Defence Minister Jim Gibbons. The government denied authorising the arms plot – but when Director of Army Intelligence Colonel Michael Hefferon took the stand, he confirmed Capt Kelly’s account and testified that there was a chain of command that led back to the Irish cabinet. In a major blow to the authorities, the jury acquitted the accused men, though the government continued to deny the plot had been sanctioned. Jack Lynch faced an unprecedented crisis during his time in office and his administration struggled to maintain a steady course through a period that, in retrospect, may have been impossible to navigate without controversy. He is renowned as the leader who prevented the Republic from being drawn into violence. And the account of his public break with the ‘Hawks’ in 1970 took on more totemic political significance as IRA violence ramped-up and the horrific events of the Troubles unfolded. But some unionists and republicans north of the border, where violence continued to spiral after 1970, have a more jaundiced view. As the crisis erupted in Northern Ireland in 1969, Mr Lynch told TV viewers his government could no longer “stand by”. Roy Garland, a hardline unionist at the time, said many feared a Dublin "plot with the IRA”. “Some people have whitewashed Jack Lynch and said he was trying to keep hardliners [in his cabinet] happy, but some of the things he said were incredible. He helped to escalate the whole thing." A string of other events – the training of northern nationalists by the Irish Army in Co Donegal, Irish government cash financing republicans ‘manning the barricades’, discussions with northern republicans in Bailieborough Co Cavan, and the infamous Arms Crisis – fuelled the unionist analysis that Dublin was midwife to the Provisional IRA. But if unionists blame Dublin’s `actions’, John Kelly, who helped form the Provos in 1969/70, claimed it was the Irish government’s ultimate failure to support northern nationalists against unionist violence that was the catalyst. He said of Dublin’s `in-action’: "What I’m saying is, that they created the conditions on the ground for the formation of the Provisional IRA by their abandonment of northern nationalism. “There was no IRA existing in 1969. “What happened on the ground was that northern nationalism, withdrawing in on itself to defend itself, was the breeding ground for, if you like, the paramilitary approach. The Arms Trial controversy was overtaken by events in the Troubles. But it resurfaced in 2001 when a document emerged showing Col Hefferon’s statement to Gardaí had been altered, removing multiple references to Defence Minister Gibbons, before it was entered in the book of evidence for the trial. A government review found no proof of an effort to influence the trial and it has been claimed the changes were to remove hearsay evidence. This explanation for almost 20 alterations and deletions was rejected by the families of Captain Kelly and Col Hefferon. But the controversy is revived by the dramatic recollection of a defence solicitor from the trial interviewed by The Detail. Frank Fitzpatrick recounted how Colonel Hefferon confided that he had decided not to “commit perjury”. The solicitor said: "At the first trial, I think on the first morning of the court, someone came to me and said Colonel Hefferon – Captain Kelly’s commander – wants to meet his solicitor. Events moved on after the trial, and decades passed before Mr Fitzpatrick was able to recount the episode to the Hefferon family, by which time their father had died. The colonel’s son Colm has now called for an independent trawl of all the files relating to the Arms Trial that are in government records. The Arms Crisis, as it became known, eventually ended for the politicians who were placed in the spotlight. Jack Lynch won the internal battle in his party that followed the events. And while Charles Haughey became a political outcast, he climbed back to the top and became Taoiseach. But the Irish Army officers caught up in the affair were unable to draw a line under the past. Captain James Kelly, the intelligence officer who had gone in search of guns following orders to plan for a ‘doomsday’ situation, went on to campaign for full disclosure around the Arms Trial until his death in 2003. His widow Sheila said that in the climate of public controversy that emerged around the trial her family suffered intimidation. “My husband was found not guilty in the Arms Trial, but that did not stop a campaign to blacken his name,” she said. In 2007 the mother of six made a further public plea of government and asked that her husband be posthumously promoted as a gesture by the army for his ruined career; that documents gathered in his defence be entered in the Dáil record; and that his innocence be declared. But even four decades after the Arms Crisis, she said she encountered political opposition. Sheila Kelly died in 2009. See Part Two of this article: Border Lands.